The police home guard had seen the woman sitting near a tea stall for three days. Few things can brighten up yet another boring Monday and this picture posted on Twitter is easily one of those. It shows a traffic policeman's kind gesture towards a homeless woman and has many on Twitter praising him for it. Posted on Twitter on April 1, the photo has collected almost 600 'likes' and more than 270 retweets. 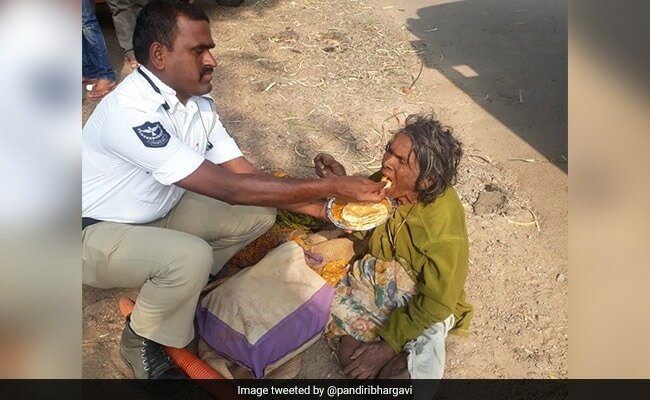 "This gesture of Kukatpally traffic PS Home Guard B.Gopal (1275) towards a homeless woman by feeding her at JNTU shakes the heart," says the tweet posted by Harsha Bhargavi, the Chief Public Relations Officer to the Director General of Police, Telangana. The police home guard had seen the woman sitting near a tea stall for three days. After finding out that her sons had abandoned her, he couldn't help but bring her some food to eat, reports Telangana Today. "I offered her a cup of tea and then bought lunch for her. 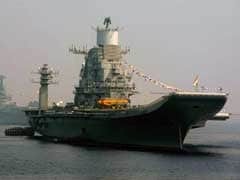 But she was unable to even eat with her own hands, so I fed her," he told The Hindu. The woman has now been shifted to an old age home. The home guard's kind gesture has won him a lot of praise on Twitter. #Respect ...Salute Sir..Keep it up..!!! According to Telangana Today, Telangana Home Minister Nayani Narasimha Reddy and Cyberabad Police Commissioner VC Sajjanar called Home Guard B Gopal to express their appreciation for his kind act.